ORLANDO, Oct. 15, 2018 /PRNewswire/ -- Boeing Business Jets (BBJ) has delivered the first BBJ MAX airplane to a customer, the company announced today at the National Business Aviation Conference and Exhibition (NBAA-BACE). The aircraft is scheduled to fly to an interior finishing center. Boeing Business Jets (NYSE: BA) offers a portfolio of ultra-large-cabin, long-range airplanes that are perfectly suited for business and private, charter, corporate and head-of-state operations. The product line includes the BBJ MAX family and high performance versions of Boeing's 787 Dreamliner, 777, and 747-8. 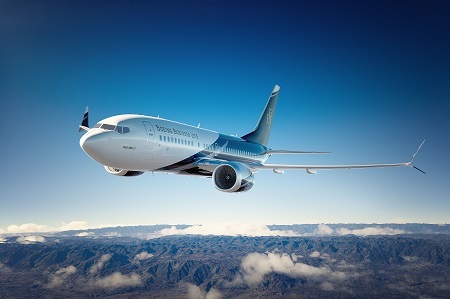 Since its launch in 1996, Boeing Business Jets has delivered 234 jets on 260 orders.